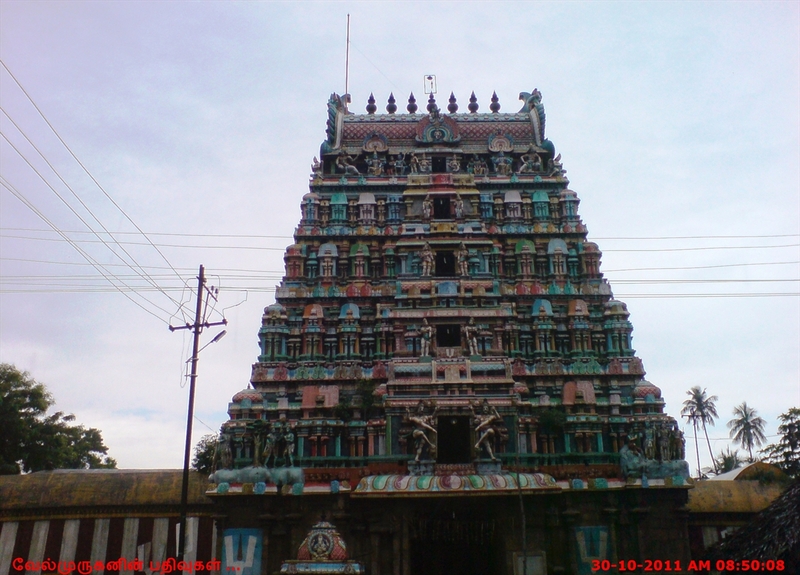 Nachiar Kovil or Thirunarayur Nambi Temple in Thirunarayur, a village in the outskirts of Kumbakonam in the South Indian state of Tamil Nadu, is dedicated to the Hindu god Vishnu. 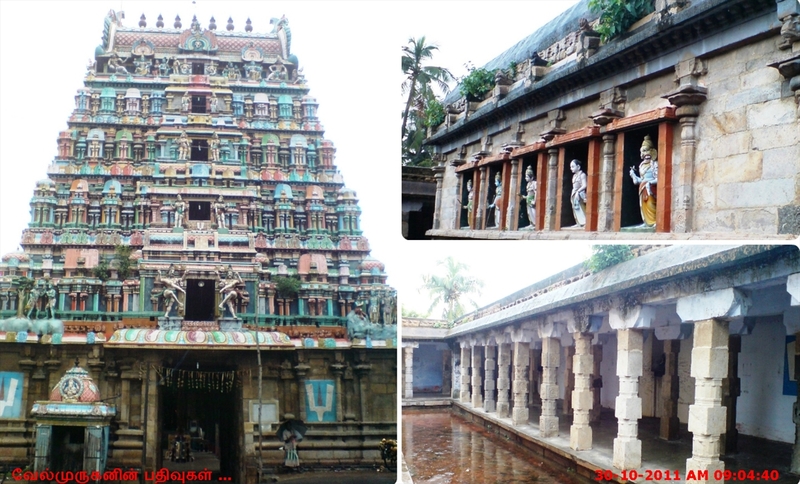 Constructed in the Dravidian style of architecture, the temple is glorified in the Divya Prabandha, the early medieval Tamil canon of the Azhwar saints from the 6th to 9th centuries AD. 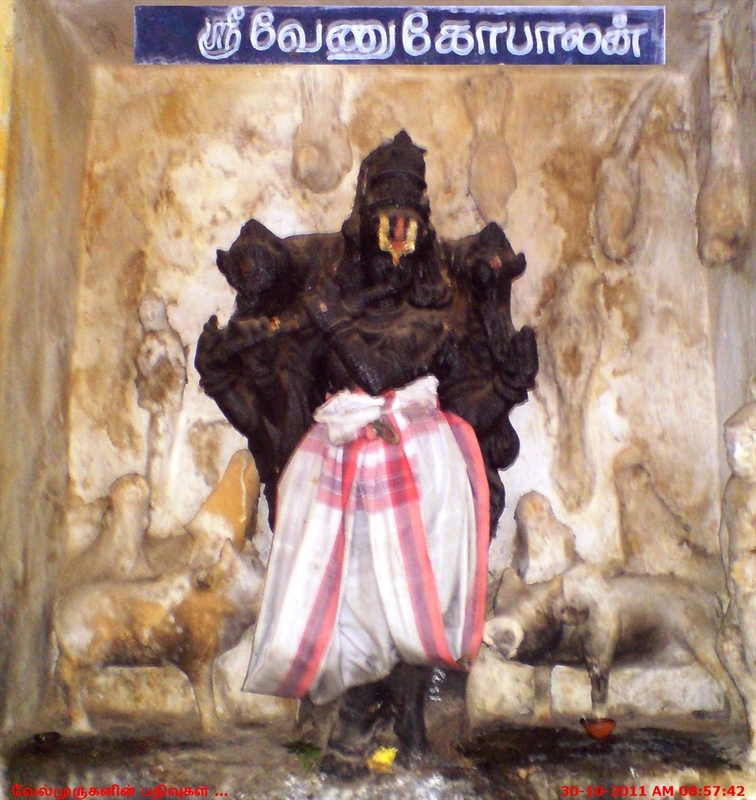 Nachiyar Kovil is one of the 108 Divyadesam dedicated to Vishnu, who is worshipped as Srinivasa Perumal and his consort Lakshmi as Nachiyar. The temple is the place where god Vishnu is believed to have initiated Pancha Samskara (religious initiation) to Thirmangai Azhwar. 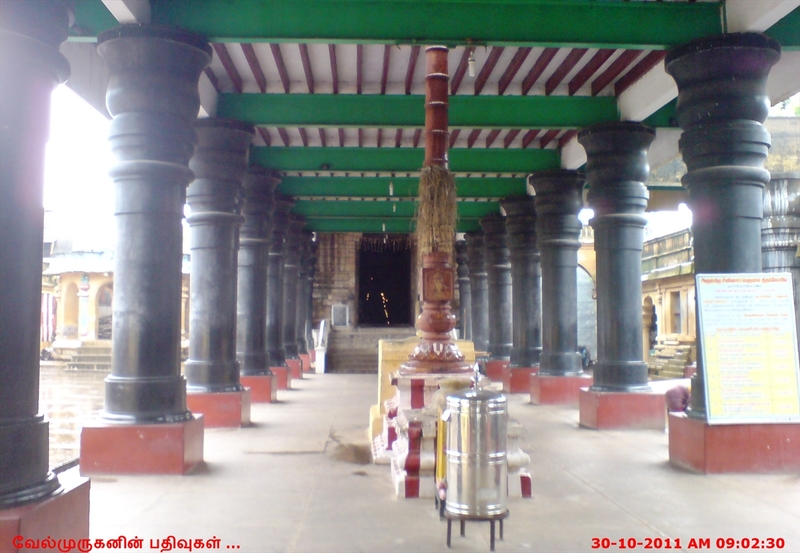 The temple follows Thenkalai mode of worship. The temple is believed to have been built by Kochengan Cholan of the late 3rd century AD, with later contributions from Medieval Cholas and Vijayanagar kings. A granite wall surrounds the temple, enclosing all its shrines, while it has a 5-tiered rajagopuram, the temple's gateway tower. 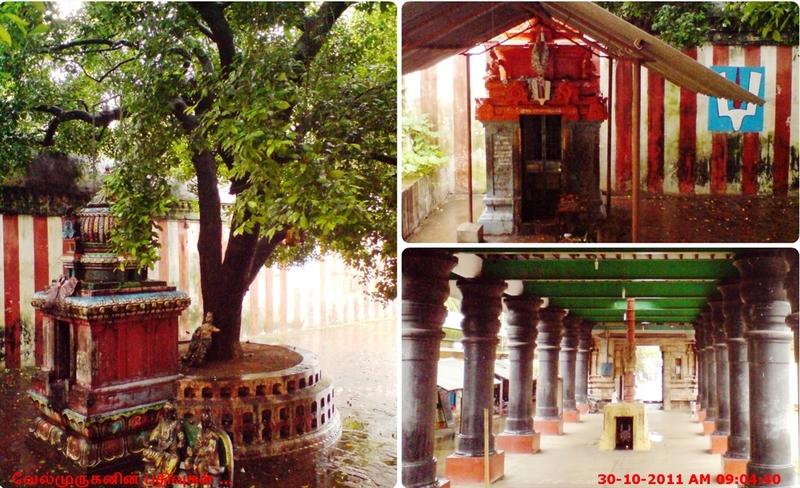 The temple is maintained and administered by the Hindu Religious and Endowment Board of the Government of Tamil Nadu. Srinivasa is believed to have appeared to sage Medhavi and married his daughter at this temple, witnessed by Brahma and devas. 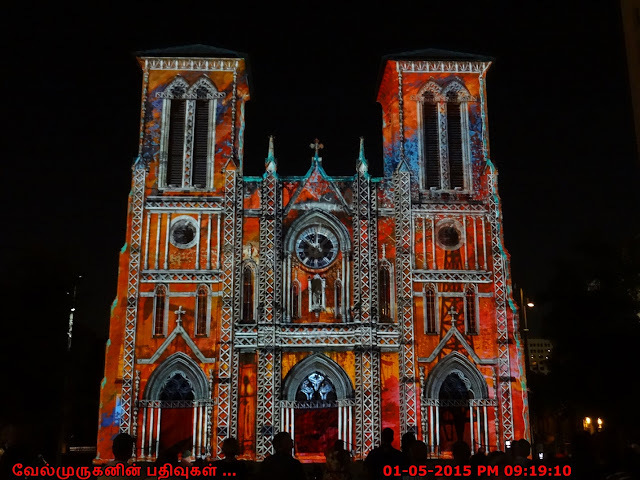 Six daily rituals and four yearly festivals are held at the temple, of which the Brahmotsavam, celebrated during the Tamil month of Margazhi (December–January), is the most prominent. The Kal Garuda image in the temple used during the festive occasions is believed to increase in weight seeking 4, 8, 16, 32, 64 and 128 people in succession when the procession comes out of various gates from the sanctum to the main entrance of the temple. Kal Garuda , Yoga Narasimha, Hanuman, Sri Ram, Chakrapani. 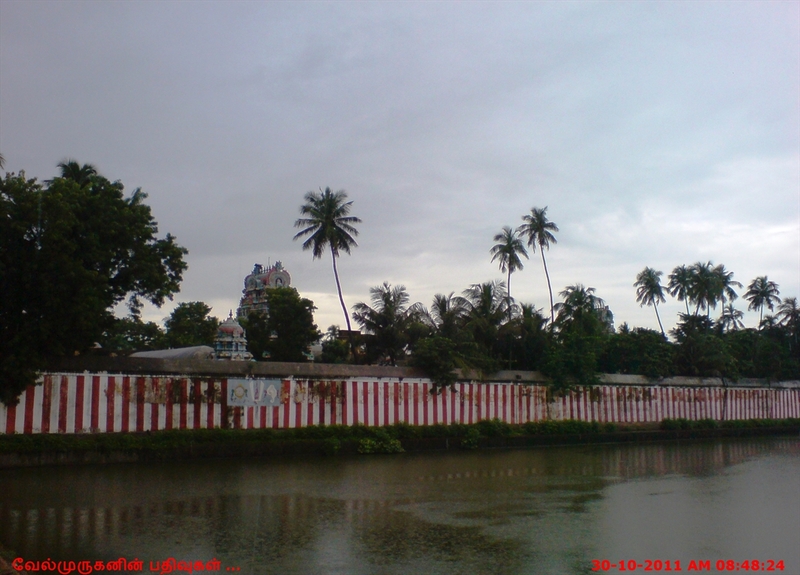 Sthala Puranam: Once upon a time there lived a saint named Medhavi here in Nachiyar Kovil. He wanted Mahalakshmi to be his daughter so he pleaded Mahavishnu and on an auspicious day under the tree called "Vanjula Maram", he found a very beautiful girl child. He named her "Vanjulavalli" after the tree from where he found her. He led a peaceful life then by teaching Gnana to his students. Gradually Vanjulavalli grew up and reached the marriage stage. One day Lord Narayanan split him into five of his forms: Shankarshanan, Prathyumnan, Anirudhan, Purushothaman and vasudevan and visited saint Medhavi's Ashram as a Guests. His students bore the guests a warm welcome and Vagulavalli prepared a delicious meal for them. AFter finishing their meal, all the five went to wash their hands. When Vagulavalli helped them by pouring water, suddenly Vasudevan caught her by hand and immedietely she shouted for help. Hearing her cries, her father came running for rescue. But before he could catch and curse Vasudevan, all the five guests disappeared to bring forth the original one (ie) Mahavishnu saint Medhavi was spellbound, when Mahavishnu asked his daughters hand for marriage. 1. He should attain life beyond birth and death (ie) he should attain eternity. 3. His daughter should be given the first place in all the aspects. 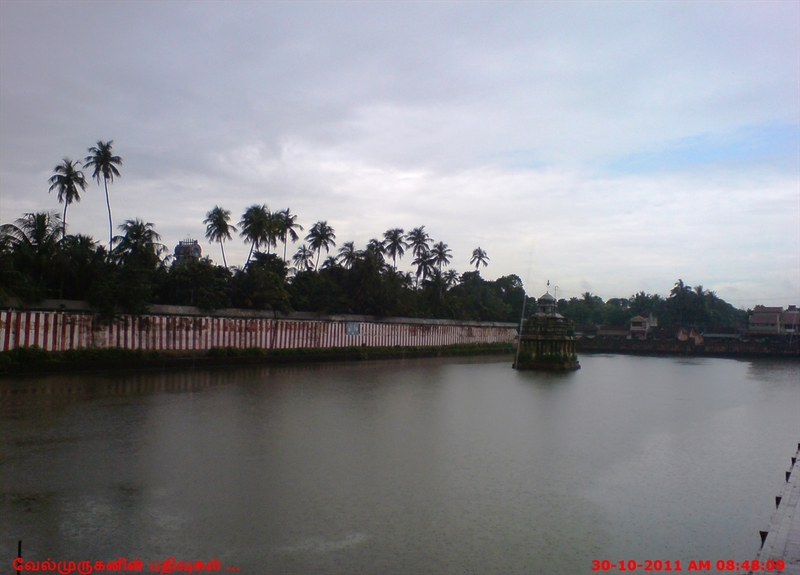 Hence from that day, this place is called as Naachiyar kovil, (ie) temple of Mahavishnu's wife.